The long-awaited first novel from the author of Tenth of December: a moving and original father-son story featuring none other than Abraham Lincoln, as well as an unforgettable cast of supporting characters, living and dead, historical and invented. and Cassandra Campbell as Your Narrator. You pick the duration—1, 3, 6, or 12 months—they pick the audiobooks. Buying gifts from Folio Books has never been so easy. 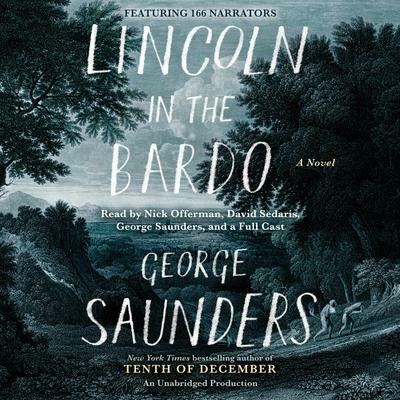 George Saunders is the author of nine books, including Tenth of December, which was a finalist for the National Book Award, and won the inaugural Folio Prize (for the best work of fiction in English) and the Story Prize (best short story collection). He has received MacArthur and Guggenheim Fellowships, the PEN/Malamud Prize for excellence in the short story, and was recently elected to the American Academy of Arts and Sciences. In 2013, he was named one of the world’s 100 most influential people by Time magazine. He teaches in the Creative Writing Program at Syracuse University.